Brinkley is such a happy dog with kisses and high fives for everyone he meets. He wants to be where ever people are and he makes sure you know he’s around. 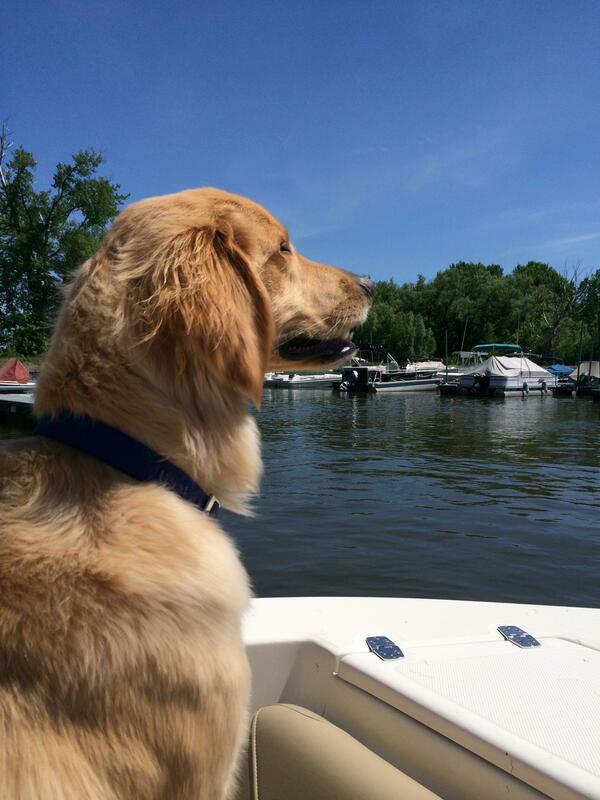 He is learning to swim and is beginning to enjoy boating. He continues to be a fast learner who is eager to please and was the star in his Tricks class. He has perfected his “spin”. We still can’t believe how wonderful he is and are so grateful to GRROWLS for helping us find this wonderful pup!